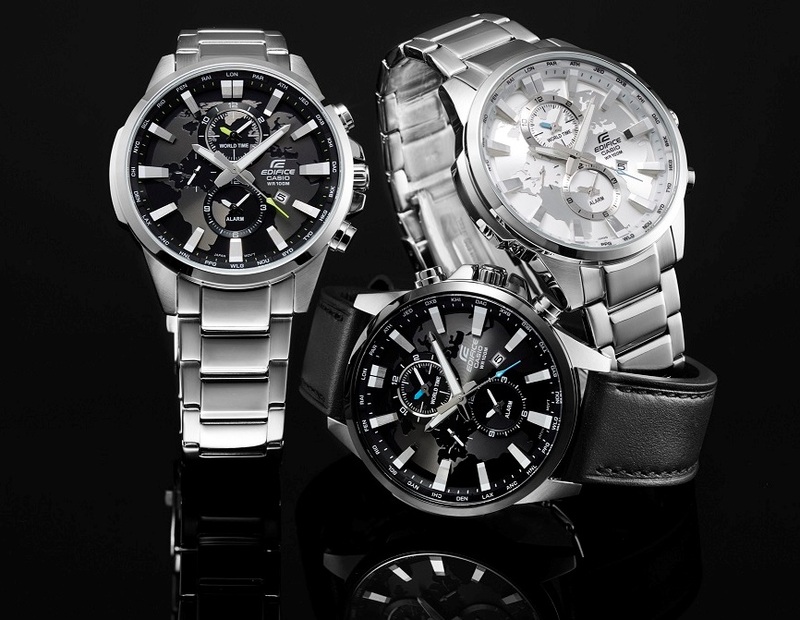 Casio Middle East announces the release of the innovative new EDIFICE EFR-303D World Time Chronograph. This elegant and sporty model is ideal for the world traveller as it has a dual time function as well as a world time map on the dial. Water resistant to 100m, this stainless steel beauty has a date display, world time indicator and an alarm function. This model is part of Casio’s revolutionary new line of EDIFICE analog watches.